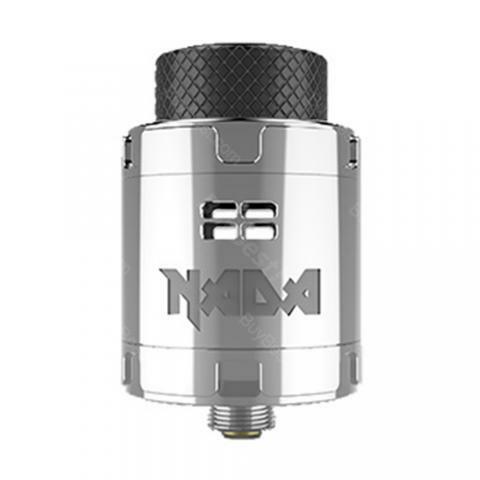 Tigertek NADA RDA, which comes with adjustable side snd bottom airflow to deliver excellent cloud, adopts squonk Pin to offer convenient using. You will find that building and operation are so easy. In addition, it has 3 sets of air plug screws to offer different airflow control. Tigertek NADA RDA, which comes with adjustable side snd bottom airflow to deliver excellent cloud, adopts squonk Pin to offer convenient using. You will find that building and operation are so easy. In addition, it has 3 sets of air plug screws to offer different airflow control. What's more, 10mm deep juicewell is helpful for avoid leakage. So what are you waiting for? Just get it to enjoy vaping. • Three month warranty for Tigertek NADA RDA. • Quick link:PilotVape Cloud Cotton.